I received my undergraduate degree from Oberlin College in Ohio, attended medical school at the University of Illinois in Chicago, and completed my residency in psychiatry at Yale University in New Haven, CT. In addition to my position as the Medical Director of Chicago Psychiatry Associates, I am an an Assistant Clinical Professor of Psychiatry at the Feinberg School of Medicine at Northwestern University. Having trained at a large and eclectic residency program, I started my clinical practice interested in the entire range of psychiatric conditions and the full array of therapies. I loved being a broad-based clinician. The first ten years of my career were spent deepening my education in general psychiatry. Over time, my orientation as a generalist began to change. My interest in recurrent mood disorders, especially bipolar disorders, grew. The proportion of my practice involving affective illness steadily increased. The result was an emerging clinical specialization. Two factors reinforced this specialization. First, my need to learn about the mushrooming amount of new research in this area simply forced me to forgo a more generalist approach. Second, as my focus sharpened, I found my clinical work more and more challenging, rewarding and fascinating. As a result, I expanded and defined my practice as a mood disorders group; I organized ongoing symposia for psychiatrists to learn about new research and improve their clinical skills in this area. Our practice hired a research assistant. I joined the International Society for Bipolar Disorders and was invited onto its Education Committee. Over the past five years, my focus on bipolar disorders has sharpened further through a deepening interest in the role of circadian rhythms (chronobiology) in the development and management of mood episodes. Chronobiology helped me better understand the pervasive shifts in mood states that occur. The application of chronobiology to the treatment of mood disorders, ie, psychiatric chronotherapy, has become a new, complementary treatment approach. Michael A. Young, Ph.D. is Professor of Psychology at Illinois Institute of Technology, where from 1996 to 2006 he was the Director of the Clinical Psychology program. 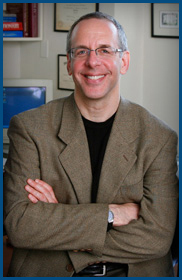 From 1980 to 1996 he was Associate Professor in the Departments of Psychiatry and Psychology at Rush Medical Center. During that time he was Assistant Center Director of the Collaborative Study of the Psychobiology of Depression and Director of the Depression/Awareness, Recognition, and Treatment program, both supported by NIMH. He received his B.A. from the University of Chicago and his Ph.D. from Adelphi University. Dr. Young has extensive research publications in the areas of the diagnosis and course of depression, seasonal affective disorder, cognitive-behavioral models of mood disorders, and statistical modeling of psychopathology. 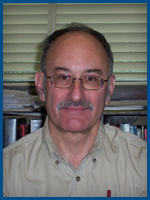 He is Associate Editor of theJournal of Abnormal Psychology.